WE are all trapped in an economic system which, if its demands were judged by human standards, would almost certainly be regarded as criminally insane. It is a system that insists that those within it who wield power and influence operate in a manner that is dangerously harmful to the majority of people and often to the entire ecosystem. Even those individuals with some authority who, through moral conviction, wish to do good, are forced to participate in destructive behaviour or themselves go under. This argument, referring to corporations, was made brilliantly by Canada-based legal expert Joel Bakan in his 2004 classic, The Corporation - the Pathological Pursuit of Profit and Power. This week, the reality of the system was laid bare in a series of questions raised in a letter to me from a farmer and Fin24 reader, Steven Versveld who employs 125 workers and grows fruit on his farm in the Western Cape. Like most individual farmers - as opposed to managers of corporate-owned agribusiness - he constantly has to deal with balancing wages to be paid, number of workers required and the need to remain profitable enough to stay in business. Unlike many farmers - and he is certainly not alone in this - Steven Versfeld does not dismiss the demand by unions for a living wage for all workers as an attack on farmers and the business of agriculture. He wants to “pay a decent wage” and also create employment on the land. But the nature of farming is seasonal. 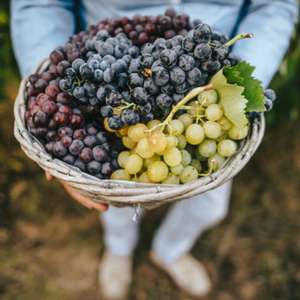 And every year, especially in the case of grapes and various fruits, there is a need for more labour in the four- to five-month picking season. With our growing army of the unemployed, it is available at almost any price. The simple truth is that there are more people than there is work available and the farmer, like any employer, does not need to employ any more workers than necessary for the job at hand. And now, with the rapid advances in technology, employers, almost across the board, can radically reduce the demand for workers by turning to automation and mechanisation. As Versfeld discovered, each harvester replaces a team of up to 50 pickers, who would have worked for three months, earning a total of perhaps R450 000, or some R3 000 a month each. Even if a farmer employed a harvester driver, the cost would only be some R65 000 a year, a saving of perhaps R385 000 that would pay off the capital expenditure on the harvester. “Is it ethically better to pay fewer people more, even if that means that the farmworker community as a whole earns less?” asks Versfeld. It is a legitimate question. And one that has not been adequately dealt with, either by government or the unions. It is also a question that should not arise in a country constitutionally dedicated to the principle of egalitarianism, even in an economic system that is demonstrably insane. That it does arise is a function of the inability of government to ameliorate the excesses of the system. Yet there are steps that can - and should - be taken. For example, as Versfeld and other fruit farmers are aware, only 5% of the retail value of their produce returns to them to sustain themselves, their farms and farmworkers. Retailers and middlemen cream off the profits.